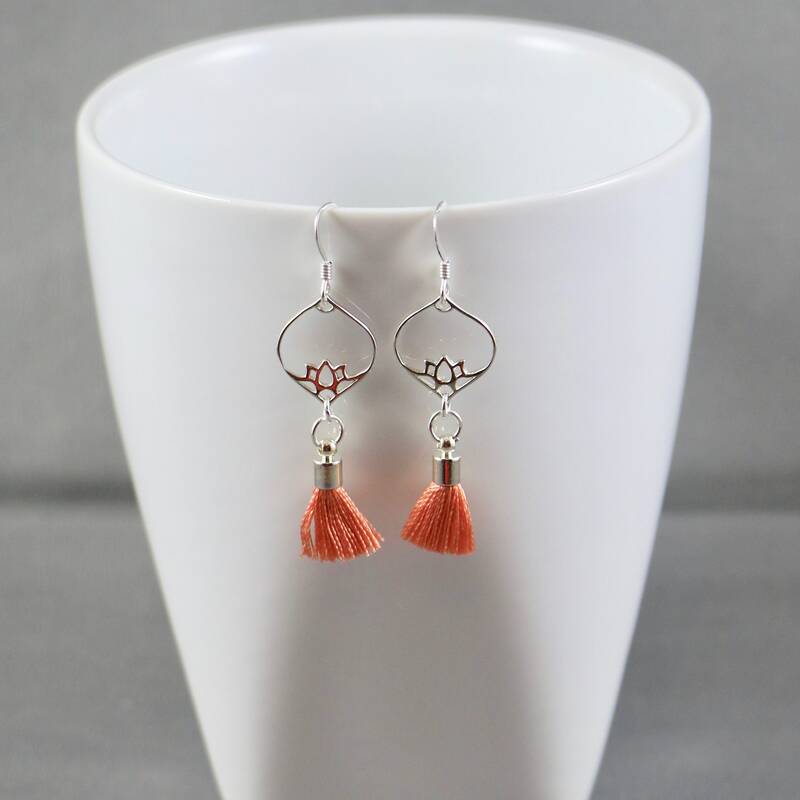 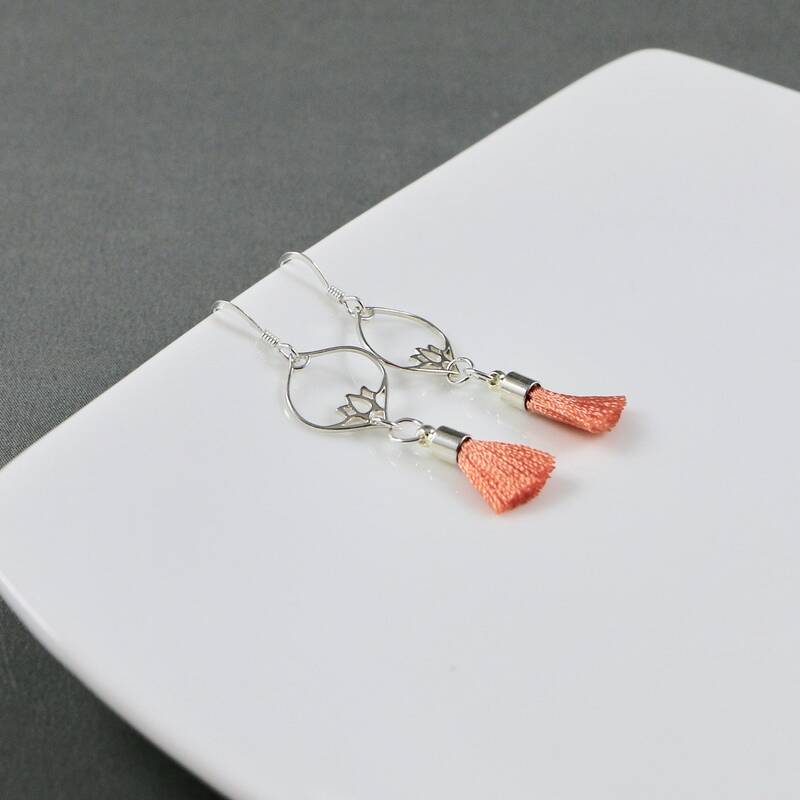 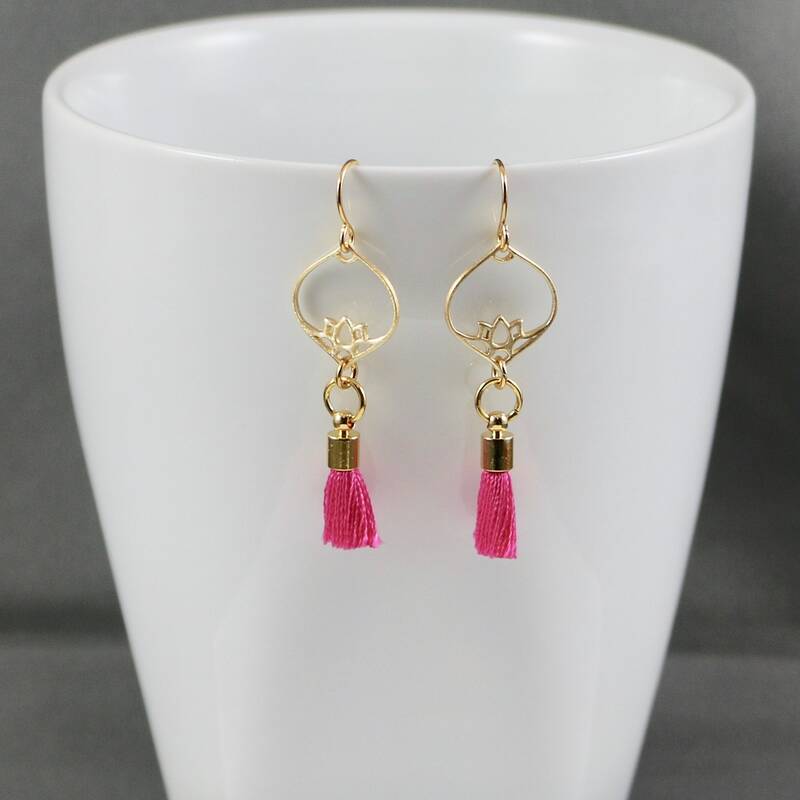 Earring Ingredients: 16x13mm Lotus Lamp Charm with a 17mm tassel with a tassel made out of silk embroidery thread. 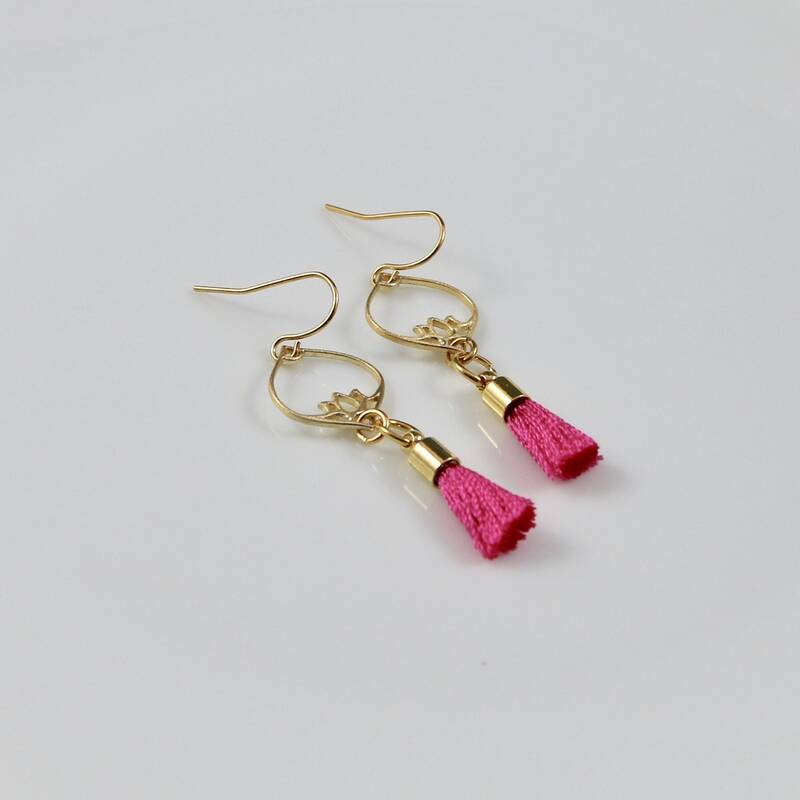 See metal options and tassel thread options below. 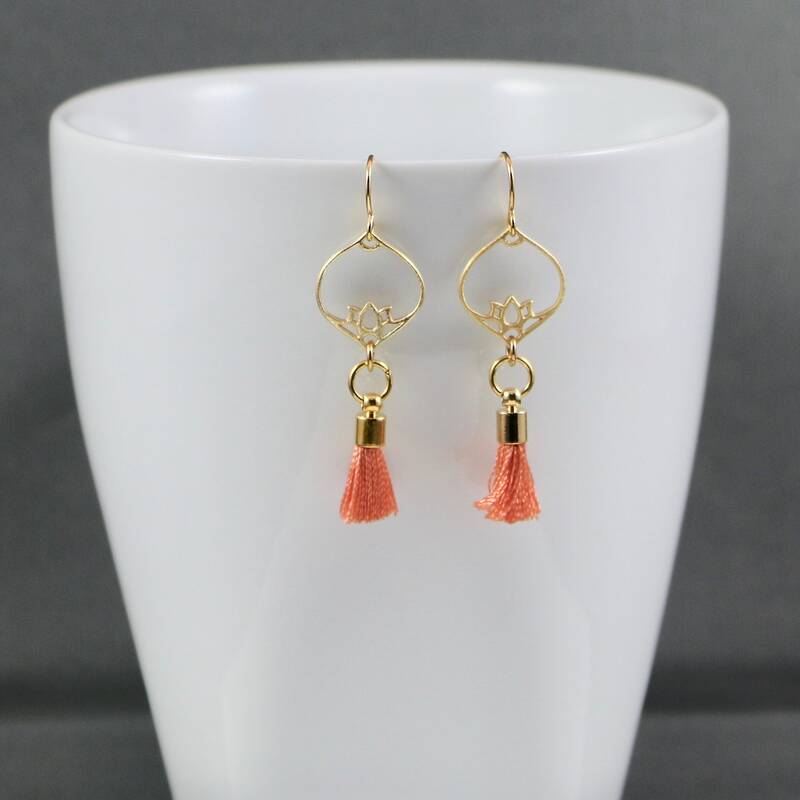 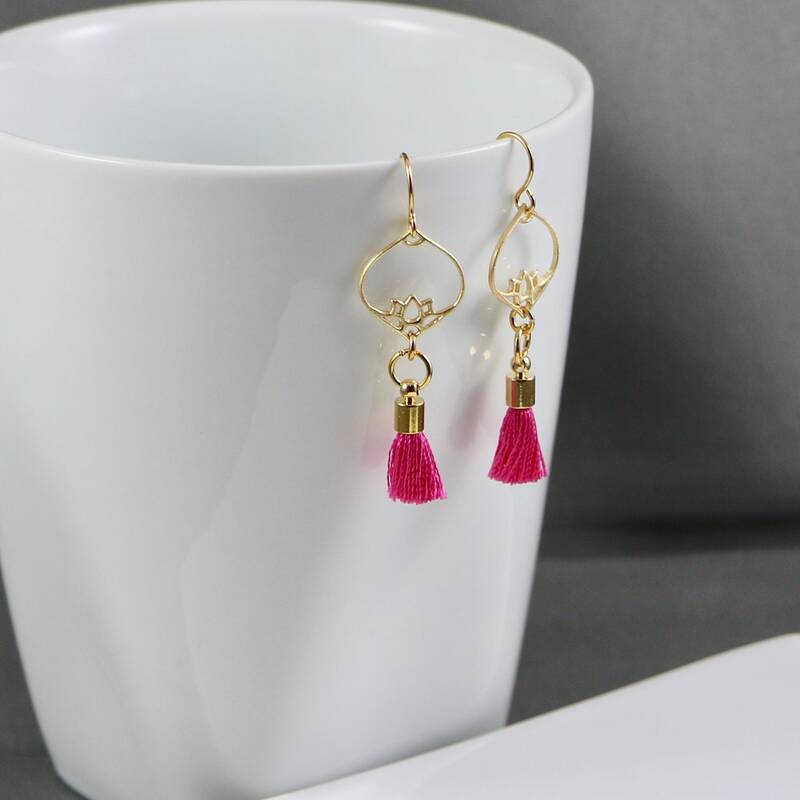 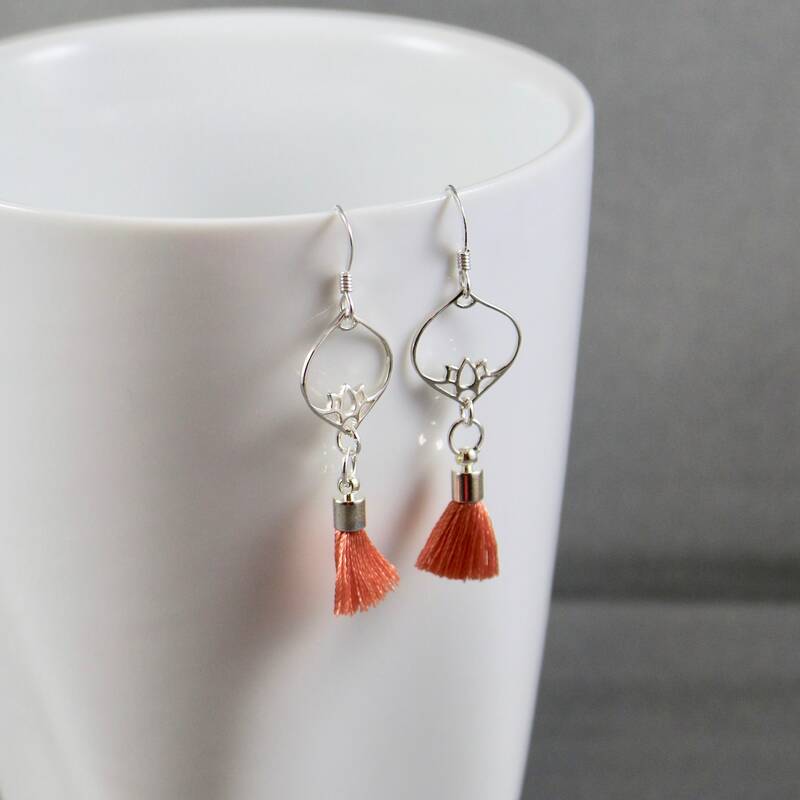 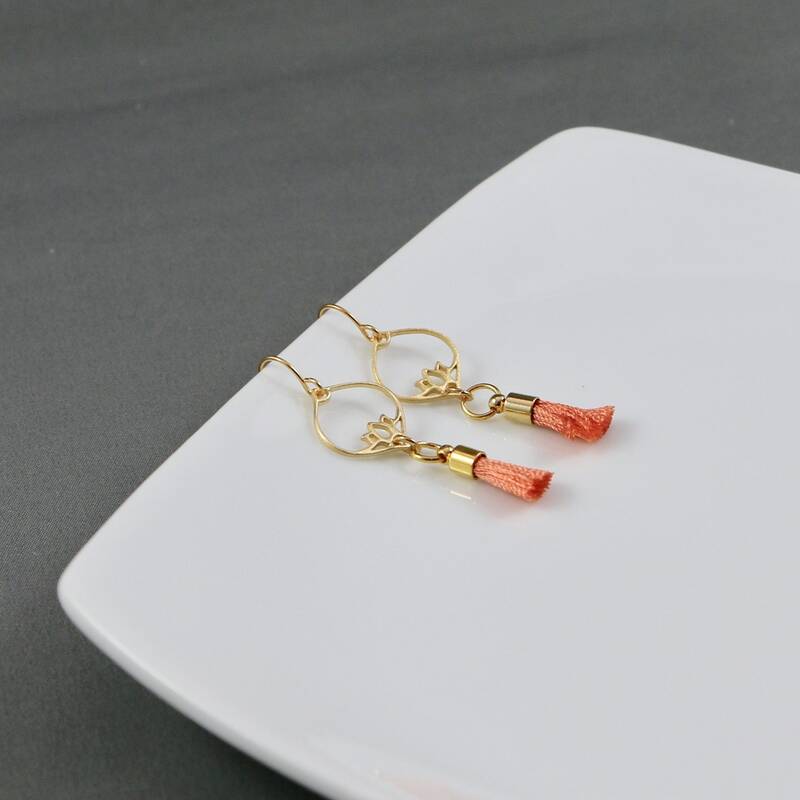 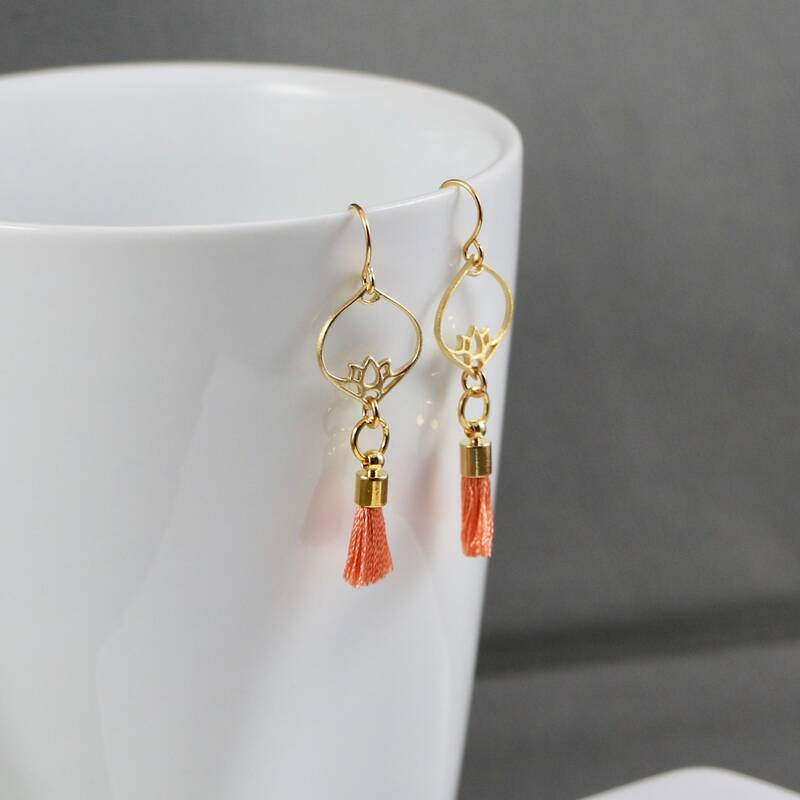 Earrings are approximately 2.25" from end to end and have either 14kt gold-filled or sterling silver ear wires based on your metal option choice at checkout.